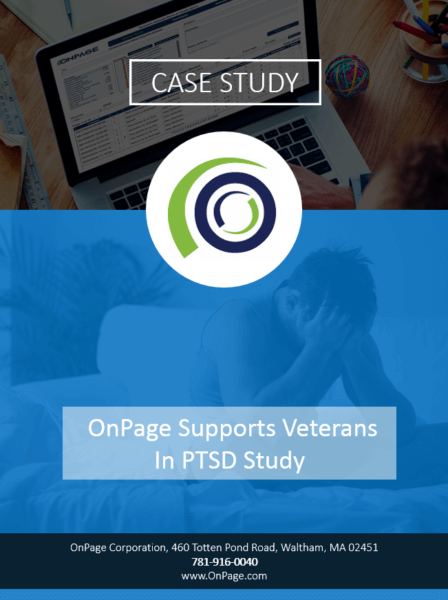 OnPage is proud to have been able to provide pro bono support for a suicide prevention study. Sarah Carter headed a study on PTSD, stress, suicide, military couples and social support. OnPage was used to send out alerts to Sarah and her team in the event that a filled out questionnaire they designed in Qualtrics showed suicidal tendencies. To learn more, read our case study. OnPage’s integration with email enables messages sent by Qualtrics to be forwarded to Sarah’s OnPage account or the account of one of her team members. Previous OnPage studies have shown that emails are forwarded to OnPage in under 20 seconds. OnPage now supports telemedicine. 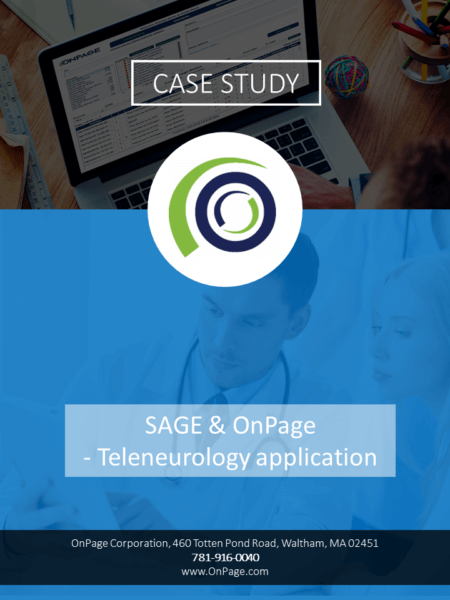 In our newest case study, we explore how OnPage saves lives and improves patient outcomes in a teleneurology practice. This Hospital’s doctors experienced several instances when the pages were missed because they didn’t arrive on the doctor’s pager. OnPage’s critical alerting technology provided the internal medicine department with the ability to reliably receive and respond to patient requests in a timely manner. Messages sent with OnPage arrive five times faster than with traditional pagers. 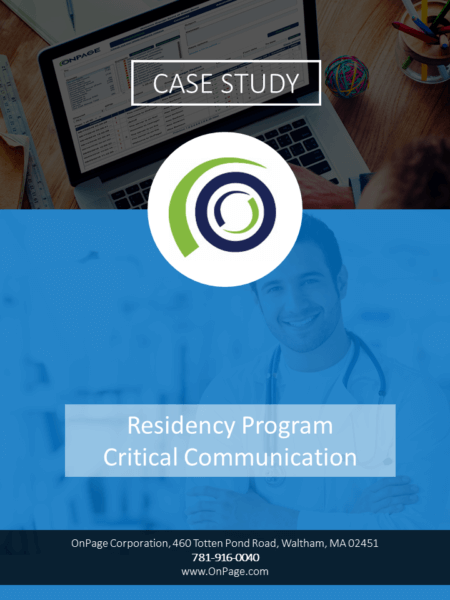 A respected medical school’s residency program looked for an alert management solution that was HIPAA compliant and secure. The hospital was unwilling to forgo availability and accountability. They looked at non-digital paging systems that the local police department used however those pagers just paged and did not have any additional features. 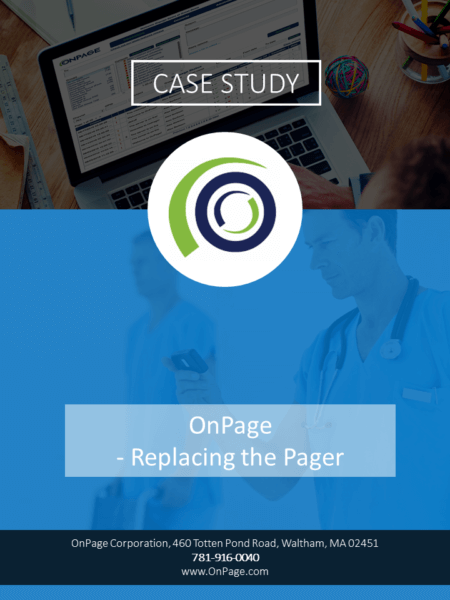 OnPage quickly resolved the hospital’s issues with poor paging coverage, HIPAA compliance and messaging accountability. > Resident accountability via the Audit Trail. > Solid coverage without gaps, no matter where the residents were located. > Easy to deploy software-as-a-service with virtually no learning curve. > On-Call scheduler with escalation and failover.